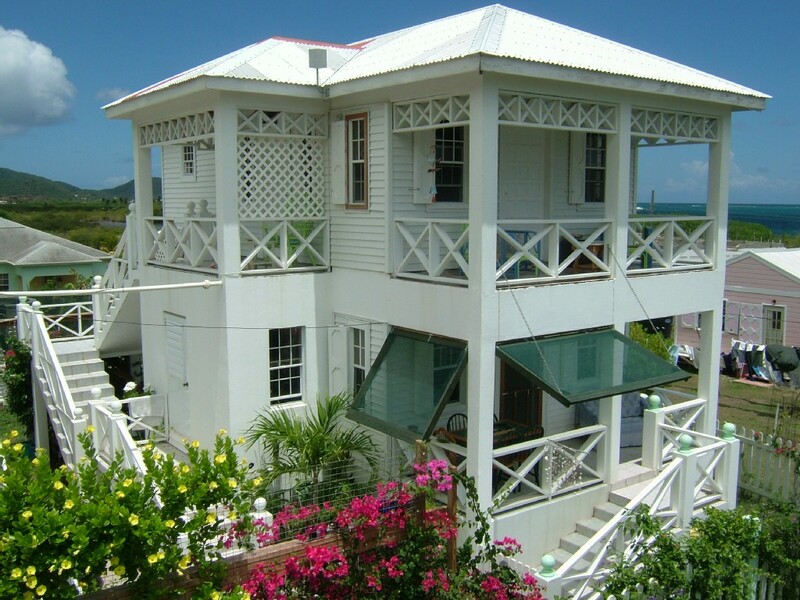 Reef View Apartments is a special place where you will feel comfortable and relaxed down by the Caribbean sea, offering sea-view, fully equipped self-catering apartments & cottages. From the moment you arrive at the airport, you are welcomed with open arms, like old friends meeting for the first time. We are here to take care of you – as we would our own family. 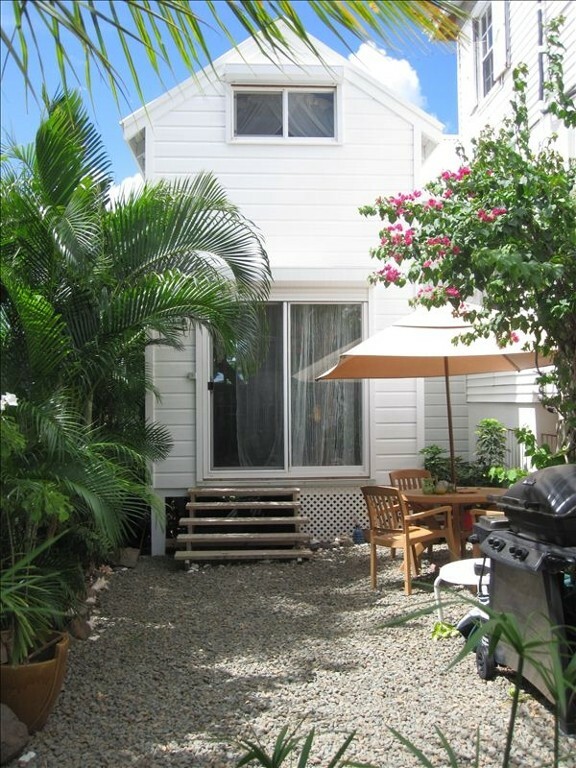 On a scenic journey through tropical rainforest to your new “home away from home”, a treasure trove of local information is made available to you, to help you maximize every moment of your stay in Antigua. 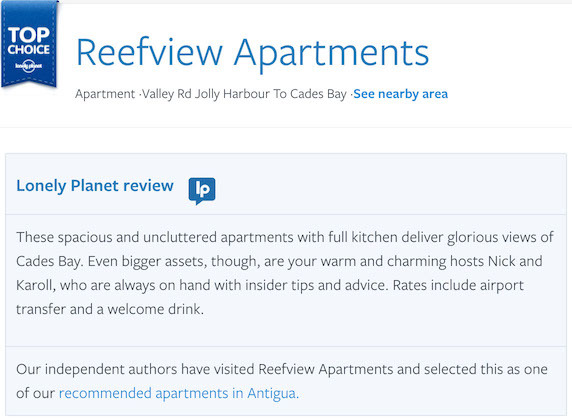 We serve our famous rum punch welcome cocktails as we show you through your apartment, on your way to your chance to relax and unwind. 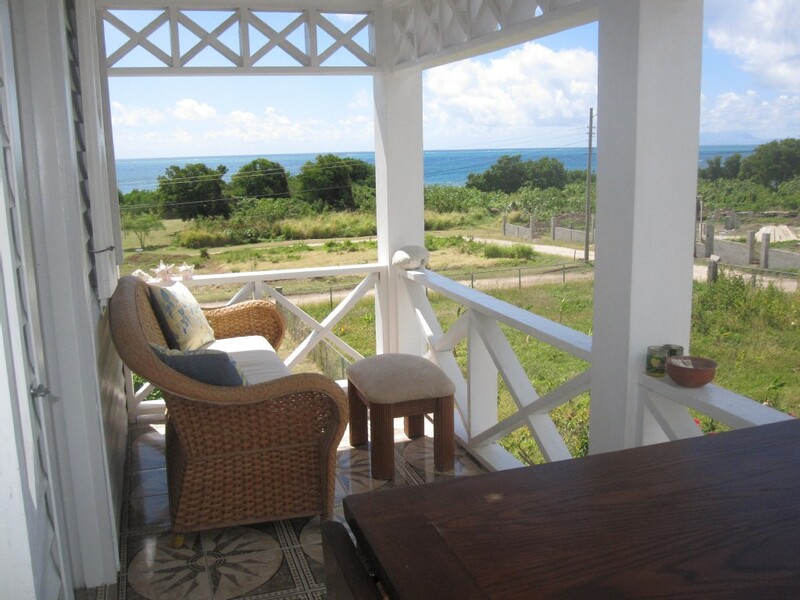 Take in your first Caribbean sunset from the veranda overlooking the turquoise sea, and you will begin to sense our unique Reef View ‘vibe’ and the friendly island feeling which Antigua has to offer. 100 yards away, the sandy beachfront winds for miles. The indented coastline and mangrove mazes are easily explorable by sea kayak. Ospreys, herons, egrets and many other species make this natural refuge their home. The calm waters of Cades Bay offer shelter to sea turtles and rays. Snapper, Jacks and Barracuda chase shoals of bait close to shore, and silvery Permit comb the shallow tidal flats, forked tails high out of the water as they hunt for crab. Trek to secret waterfalls, feel the history of 16th century Nelson’s Dockyard, and taste the carnival atmosphere of Antigua at Shirley Heights… Catch “the big one” out deep sea fishing, or snorkel sunken shipwrecks and discover the wonders of Cades Reef and on a private boat charter. We can even get you married on one of Antigua’s 365 picture postcard beaches.